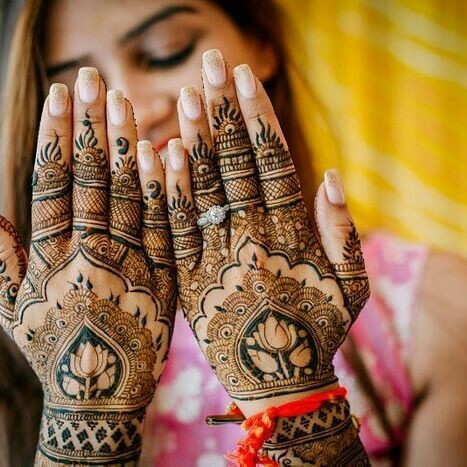 So here it is, something very interesting and unique, something you have probably never seen before: This Independence day, Bling Sparkle brings to you top 10 amazing Henna Mehndi designs which scream -PATRIOTIC! 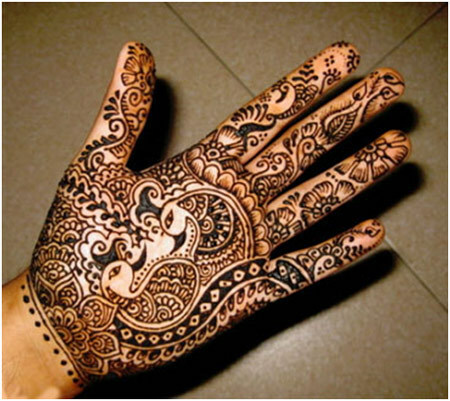 Everyone's going to do taht Independence day nailart, everyone's going to colour code their outfits to the Indian Independence day but there are very less chances that someone wears a Henna patriotic Henna mehndi art on their hands, So girls! Are we ready to make a difference? Let's make sure all those eyes are glued on you! 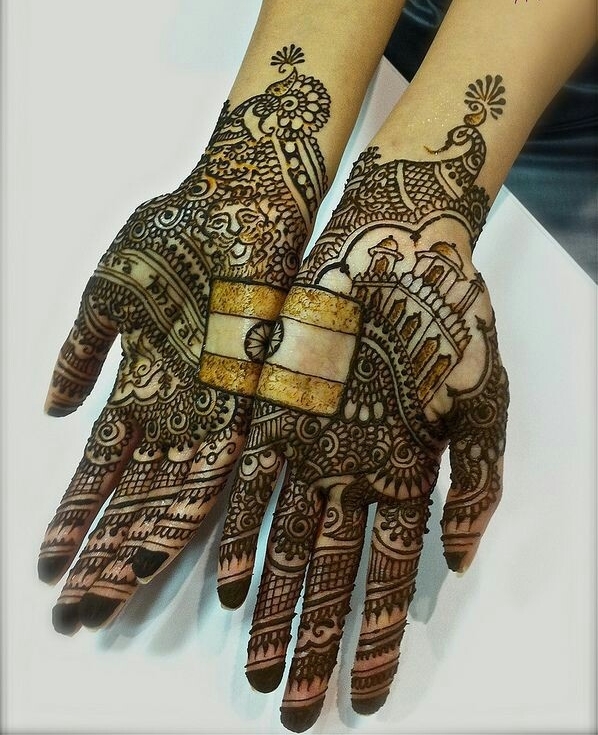 This is one of the best mehndi designs you would have ever seen! It's the perfect blend of art which showcases the love for our country and at the same time makes our hands look beautiful! The trick is just to get creative. Wish I had seen this design during my college days as this is just so perfect for an Independence day celebration! Another lovely design which has the India map on it. If you don't want such a dramatic look then you can skip one of the mango designs on the palm and draw the India map there instead. This is simply so chic and it'll surely grab all the attention. As I told you, the trick is to get creative and use your own imagination. Peacock mehndi designs are very famous in India and you can adorn one of it on Independence day! It'll look totally lovely and add a touch of patriotism to your hands too! There are hundreds of Peacock mehndi designs to choose from. 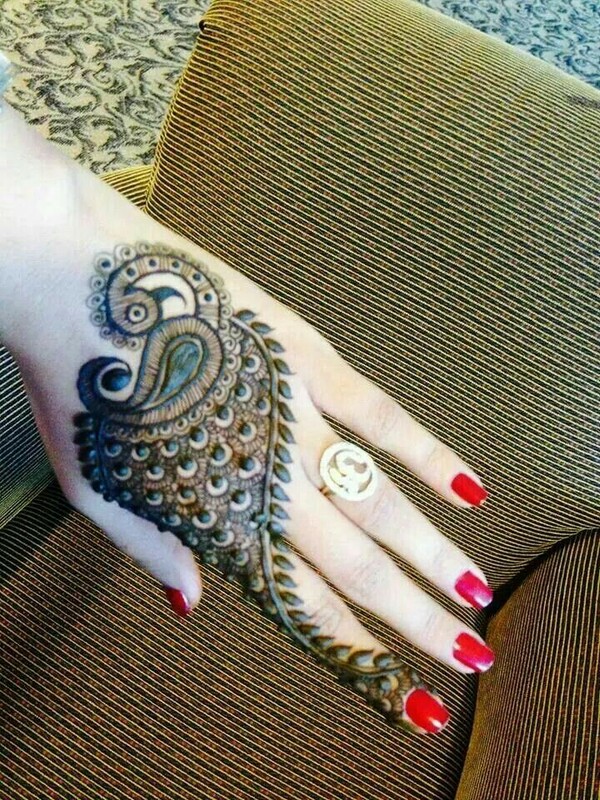 You can start with this beautiful and easy peacock Henna Mehnadi design in the pic above. Flowers have been an all time favourite in mehndi designs so why leave out our National flower, the Lotus?! You can draw a similar art as the pic shown above or go for a more minimalist approach by drawing just a single Lotus on your palm - either way, it'll look beautiful! This si another pretty Peacock Henna mehndi design you can wear on the Indian Independence day. 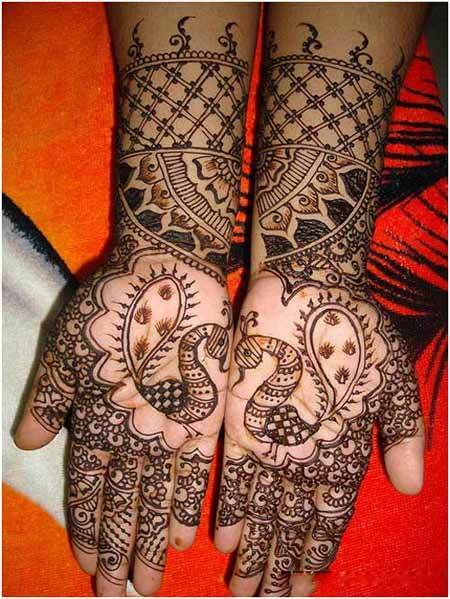 What can be more creative and eye catchy than wearing Henna Tattoos of the National symbols of India?! 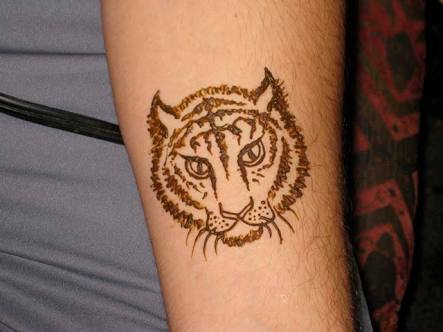 They are simply going to rock, especially if it's a daring Tiger art like the above pic which screams Indian pride! 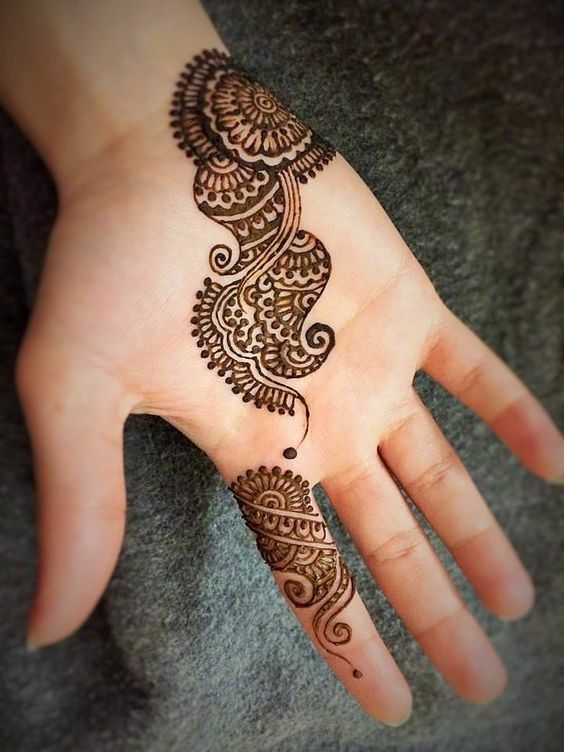 This is another very pretty and unique peacock Henna mehndi design to try! 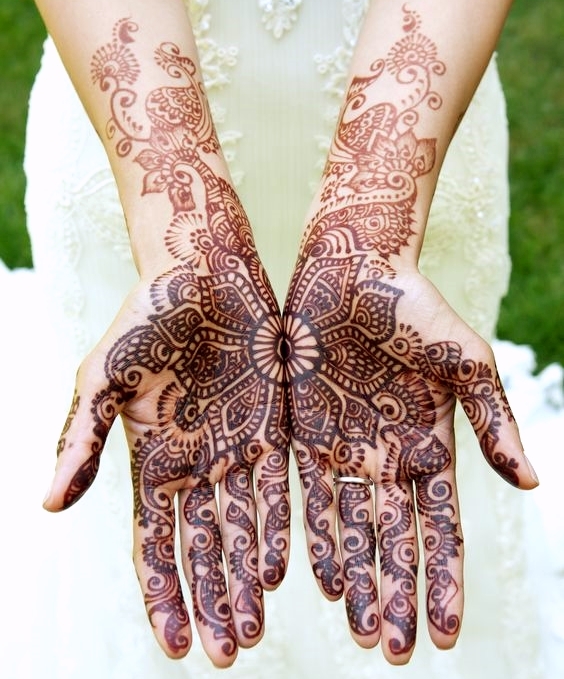 Another Lotus Henna mehndi design inspiration for you all. 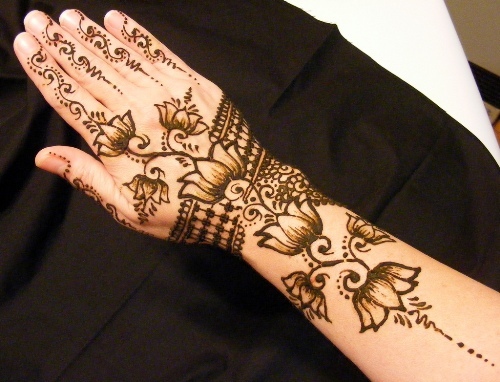 Why leave out mangoes, especially when they are so famous in the Henna art?! 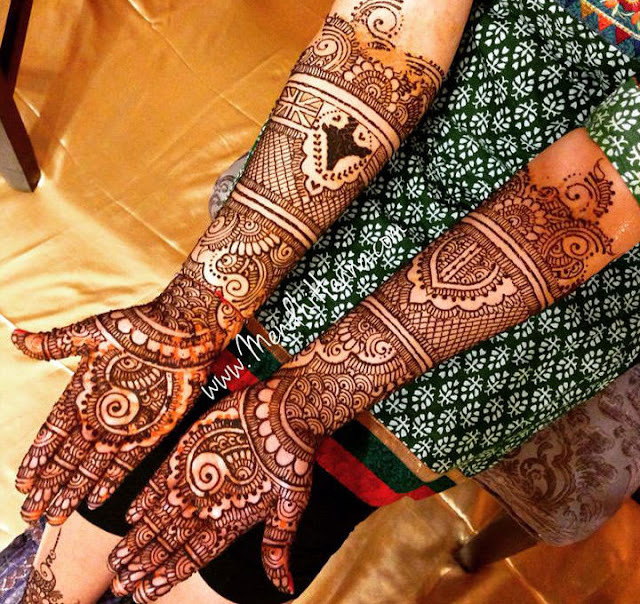 Just wear a mango mehndi design and you are good to go!